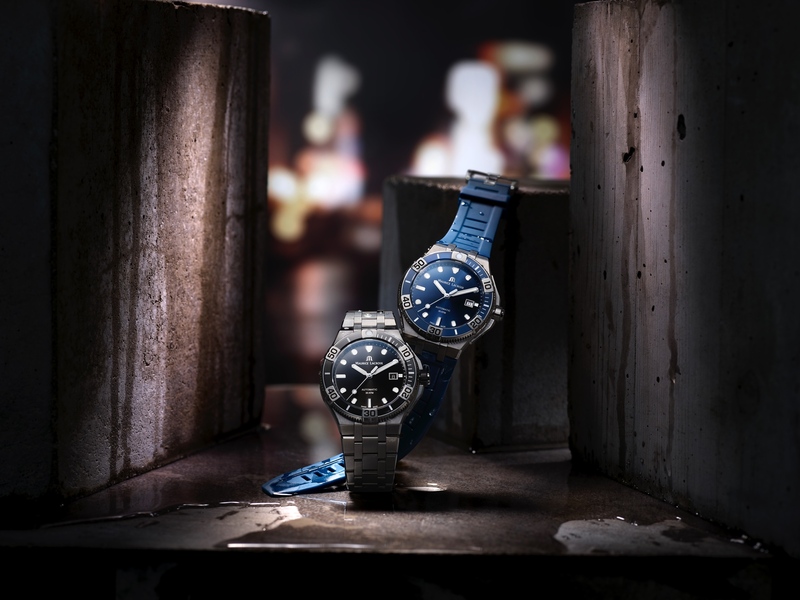 Next month Maurice Lacroix will launch an interesting new timepiece at Baselworld – the Masterpiece Seconde Mysterieuse. 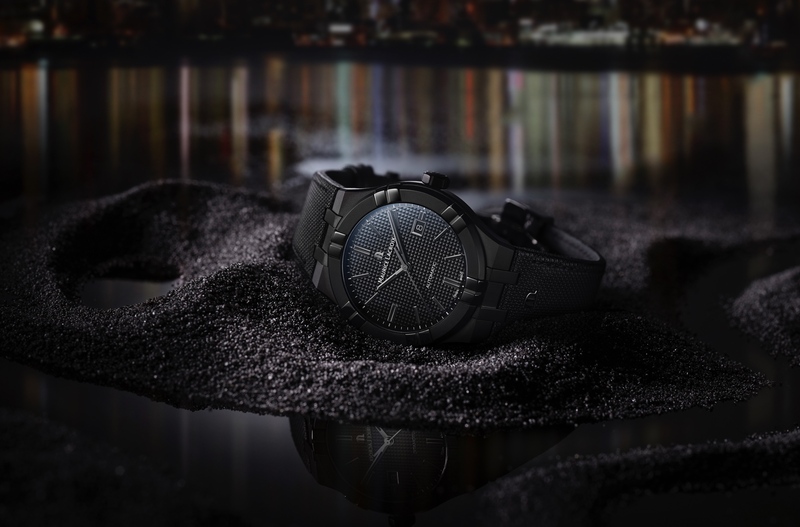 It features an off-center dial displaying hours and minutes, and a mysterious seconds display. The seconds are indicated on an oversized subdial at 6 o’clock. 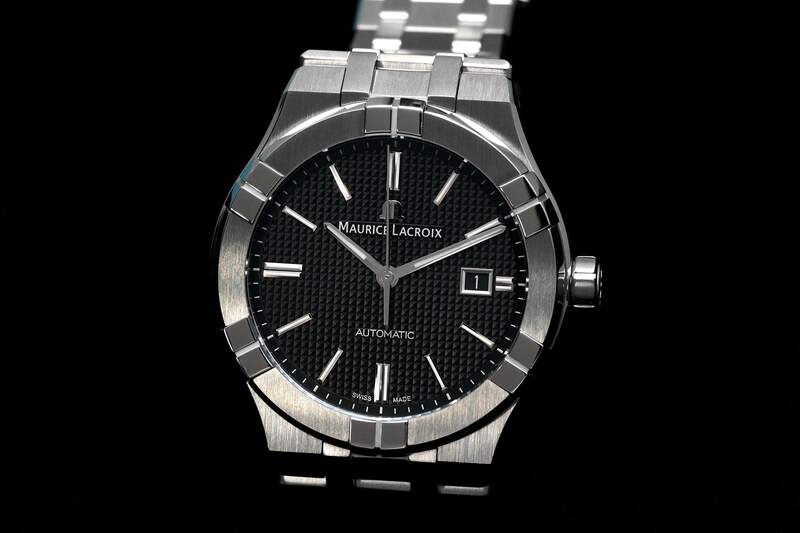 An automatic ML215 caliber drives the hours, minutes and seconds functions. 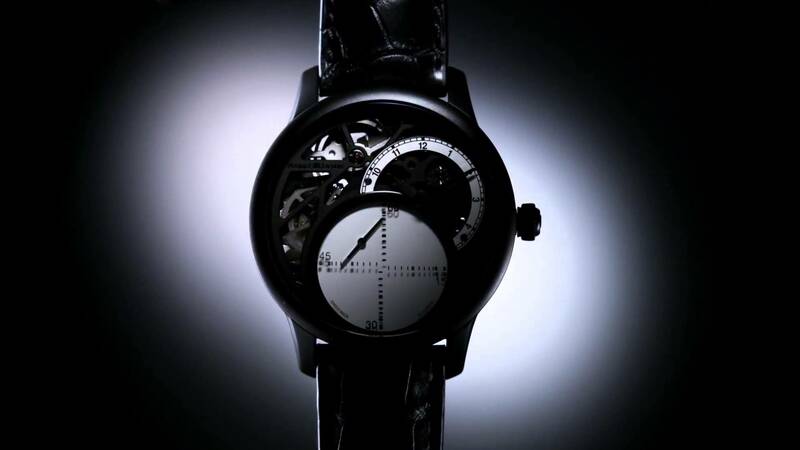 It is housed in a 43 mm stainless steel case (or blacked out stainless steel case – pictured) with a skeletonized dial with contrasting white lacquer for the hours and minutes ring (with rhodium-plated Arabic numerals) and a while lacquer background for the mysterious seconds dials (with a bullseye with black/gray print on flat sapphire crystal). Double anti-reflective sapphire crystal and sapphire case back. The movement runs at 18,800 vph (2Hz) with 48 jewels and a 50-hour power reserve. Water-resistant 50 meters. Limited to 125 pieces each in steel and PVD.